Have you only been swimming during the daytime because your swimming pool is just too dark to swim in at night? If that’s been limiting the time you spend in the pool, talk with the pool builders at Imperial Pools about reasons to have LED lights in your pool. Lighting is ideal for safer night time swimming and LED lighting is cost an energy efficient. If your swimming pool has a deep end, that area might be dark even in the daytime and installing LED lighting will help brighten that right up. LED lights are beautiful as well as functional. They are brighter. LEDs are simply brighter and more luminous. They don’t run as “hot” as other bulbs. This also means they don’t use as much energy to operate. They come in myriad colors. LEDs come in rainbow shades and you can even pair them with an app to customize the look and feel of your pool. LED lights can live for up to 20 years. Yes, you read that right! Compare that to an incandescent pool bulb that needs to be replaced yearly and you can see the csot and time savings. Incandescent bulbs cost about $1 a day to operate and LEDs cost pennies a day. The safety aspect of lighting up darkened areas of the pool and making it safer to swim at night cannot be denied. Add more hours of the day to your swim time. When the pool isn’t dark, you may be more inclined to swim once the sun goes down! 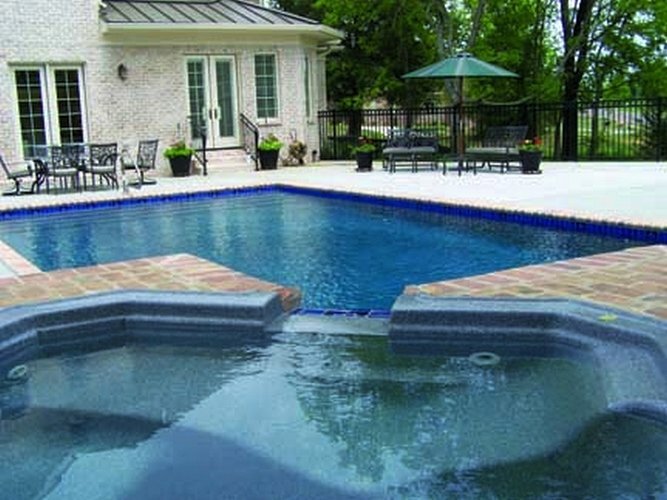 Talk with us about the process for retrofitting your pool with LED lights and what is necessary to make that happen. If you’re in the beginning stages of a pool project, don’t forget to think about in pool lighting and let’s talk LED.